Elliot Stone has just graduated from fourth grade and now his summer is ruined. Not only will Elliot be away from his friends, but he will also have to miss the graduation party of the century. Elliot’s mom just informed Elliot that their summer vacation wasn’t going to be one week, like usual, but a whole entire month! The story takes on quick momentum as Elliot and Jake encounter a strange sighting in the lake. And when Elliot learns some facts about the Loch Ness Monster, his interest in this strange sighting is piqued even further. 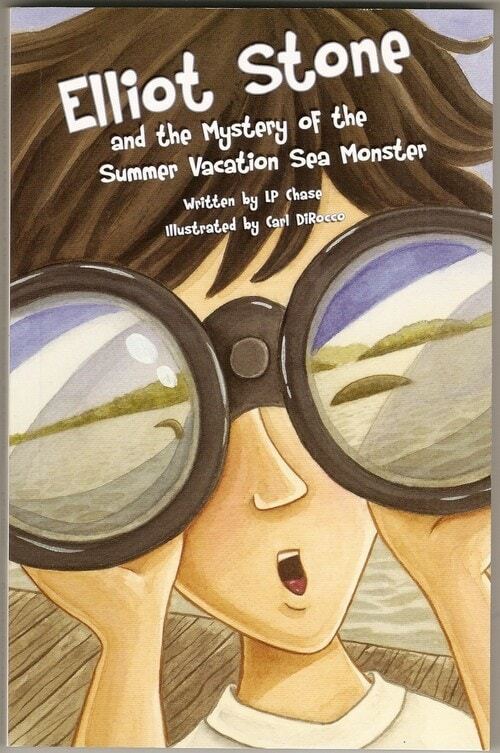 On top of the sea monster fiasco, Elliot and Jake accidentally meet Marley, the totally cute girl from next door. Elliot struggles to maintain his coolness while investigating this strange sea creature. Marley agrees to help Elliot and Jake investigate if they agree to help her save her father’s failing business. And once Elliot finds out the details, he has no choice but to help her. Buy it on Amazon or get a better price on Barnes and Noble! Three (3) lucky LAB readers will receive a copy of the book! Become a fan of LAB’s Facebook Page. Then leave a comment on the wall saying you love the Elliot Stone and the Mystery of the Summer Vacation Sea Monster book giveaway. Tweet this message: “Hope I win the @LPChaseBooks newest Elliot Stone book giveaway from ladyandtheblog.com (@verasweeney). RT to Enter #contest #giveaway”. Thanks for giving away my books on your website!! I can’t wait to see who the lucky winners are.